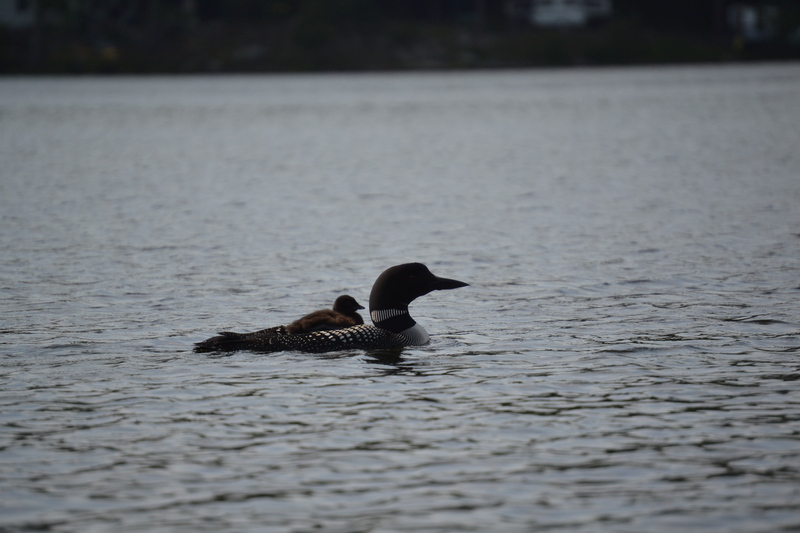 I was kayaking in our back lake last Sunday. 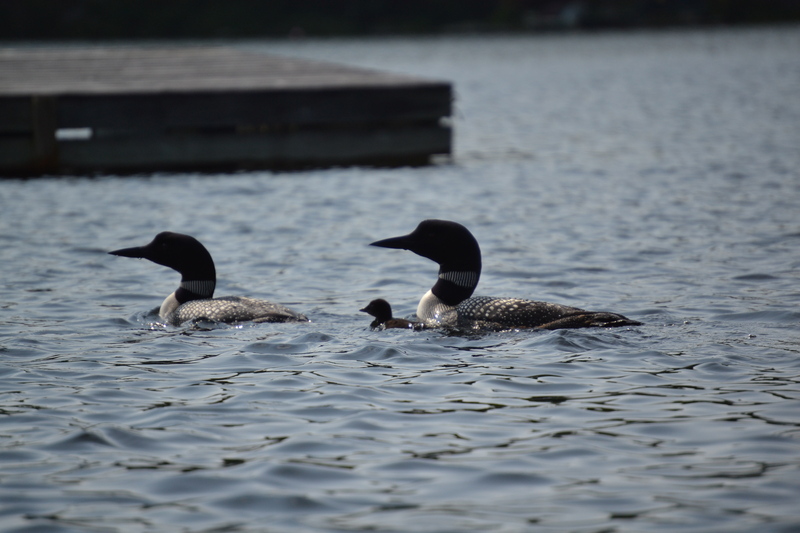 It was a bit of a challenge to even get into the lake because the beavers had dammed up the channel, but I made it in, and was rewarded to discover our two loons with a brand new baby. We had given up hope there would be a baby this year. 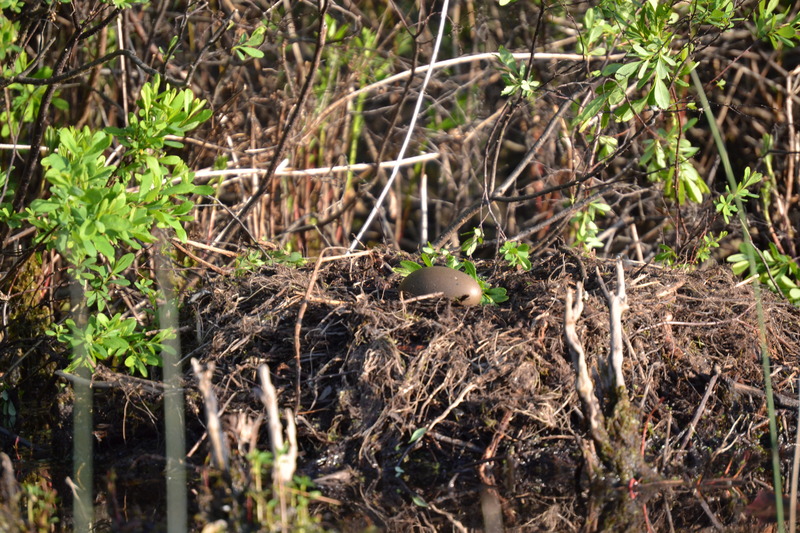 I had taken pictures of the mother on her nest and the egg about a month ago, but when no baby appeared, we assumed the egg had been eaten by a snapping turtle or pike. Each day this past week has brought a new wonder as we’ve watched “Wheezy” (short for Louise) grow. She started out staying very close to her mother, often riding on her back , then learning how to dive. The other day she was in the middle of the lake by herself. 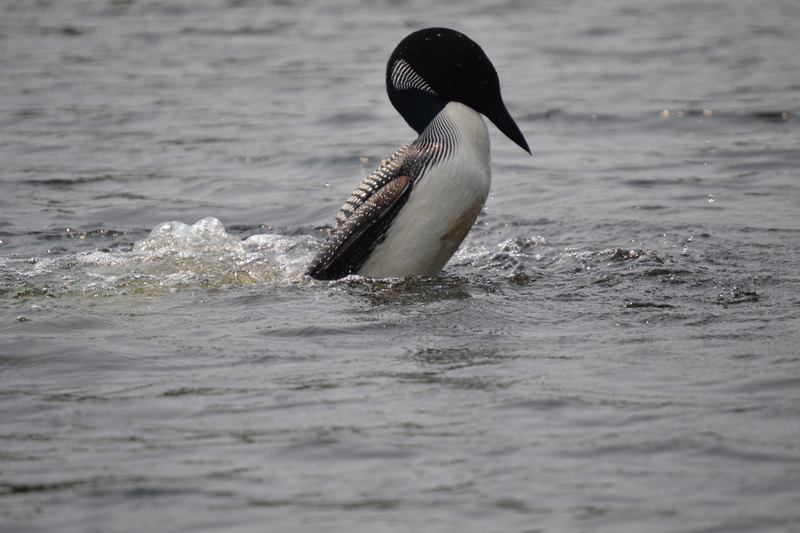 The mama and papa loon were closer to our dock. You could tell they were worried and trying to find her. She’d give a little hoot, and they’d answer with a full call, dipping their heads under water to try to hear her better and locate her. The parents started swimming quickly toward her and the family was reunited. Last night, I watched as the dad fished and fed the baby his catch. There is nothing more life affirming than witnessing the miracle of life. It represents everything that is good in this world–innocence, trust, love, optimism, and endless possibility. We experienced this same feeling a few weeks ago on vacation when we watched a newborn foal find his legs during our week-long visit. Fast forward to two nights ago. I was walking across the soccer field. My two girls were walking and talking in front of me. I was suddenly struck by what beautiful, spirited people they had become. In that moment I was so proud. It has been both a pleasure and a privilege to watch them grow. I look forward to the next ten years to see the young women they become. This week’s #HappyAct is to watch a baby grow. Witness the miracle of life and be thankful that each day is a gift. I have two more births to look forward to. Our neighbours are expecting a baby this fall and we are looking forward to welcoming their little one into the world and watch him grow. And Dave’s almost finished building the chicken coop—time to get baby chicks! It’s pretty rewarding seeing Nature in bloom. Awesome!